← PowerPoint – giving a presentation – what can possibly go wrong? 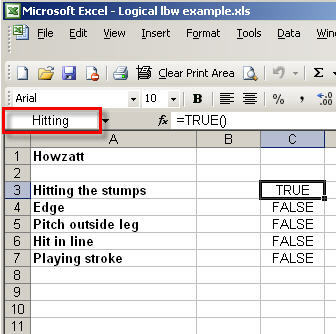 Nearly two years ago I was running an advanced Excel course and needed to create an example of the use of Excel’s logical functions. 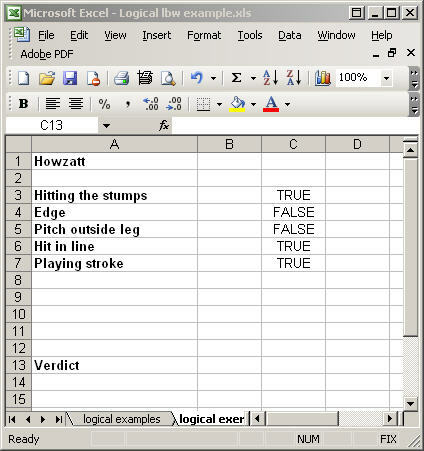 Given that most of the people we train work in accountancy, our examples are usually based around financial data but, since it was the middle of the 2005 Ashes tour, the cricket LBW (leg before wicket) law sprang to mind. I’ve extended the example to look at the use of range names in making formulae easier to understand, and also to incorporate the use of a simple interactive form control. 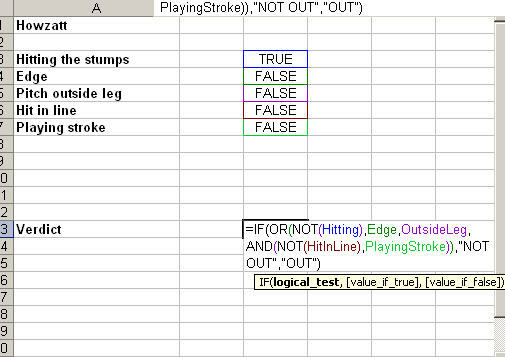 Finally let’s add some check boxes to make it easier for the umpire to choose the right options in the heat of a tense test match. 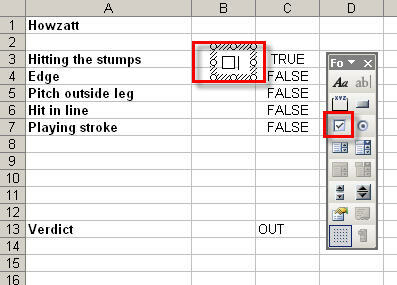 Now click on cell B3 and use the fill handle to copy it down to B7. All the check boxes should be copied down. 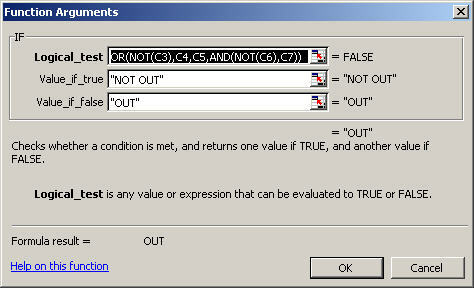 Right-click on each one and set the cell link to the appropriate cell. See if your understanding of the LBW law agrees with mine! 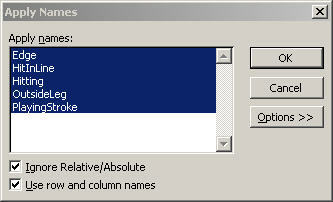 This entry was posted in Excel, I don't believe IT, Not quite so simple, Office software. Bookmark the permalink.